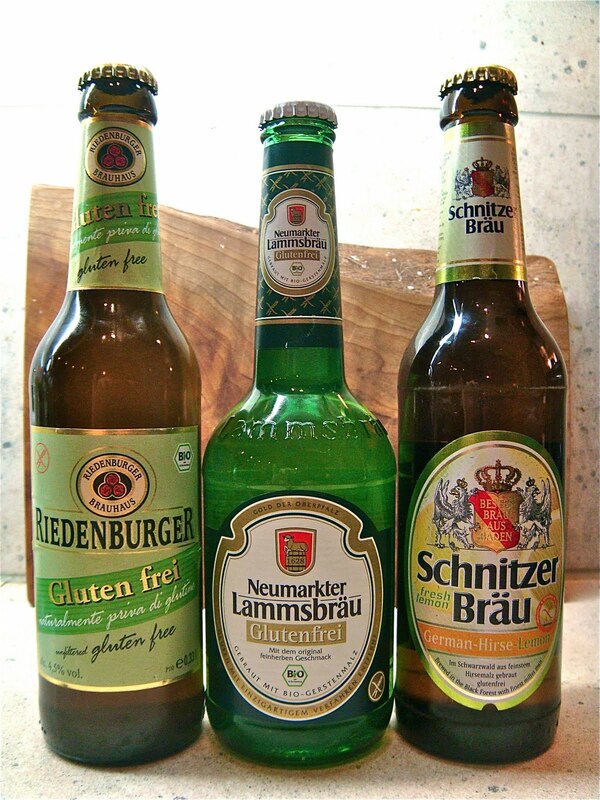 There is nothing like an evening with friends to share a great mexican meal and some gluten free beers. It is also a perfect night when your friends have children close in age to your own that play well together. I think we actually had about 30 or more minutes tonight of peace and quite to enjoy a bowl of steaming hot chicken South of the Border Tortilla Soup, a slice of my Hearty Cornbread and a plate of salad. The kids were busy playing upstairs without us. Thank you kids for giving us some adult time. Naturally the night started out with some gluten free beer tasting while enjoying some chips and Cilantro Guacamole, recipe by Mom's Cook Gluten Free. It didn't even occur to me 3 years ago when we first moved to Germany that this would be the place if any to have the best gf beers. What took me so long???? Riedenburger Gluten Frei. Bio. Brewed with millet malt. Schnitzer Braeu - German-Hirse-Lemon. Gluten Frei (Gluten Free). Bio (Organic). Brewed in the Black Forest with the finest Hirsemalz (millet malt). I know I know... this is suppose to be a healthy blog and here I go again making another batch of cookies. Don't worry, I'm getting all the sweets out of my system over the holidays because I know this is the time of year that most people splurge a bit, I certainly do. Once we hit the new year please visit my blog for healthier dinner creations and snacks that will get us all back on track to losing those extra Holiday pounds. Making more changes to an already great recipe. Finding alternatives... If you have a peanut allergy and want the same yummy taste as my Peanut Blossoms try this one with almond butter instead of peanut butter. I've also taken out the raw sugar and brown sugar and replaced it with agave syrup. These have to cook a little longer because of the moistness of the agave. Have you ever had those molasses cookies from Starbucks??? Oh my if you haven't and you don't have gluten issues you've got to try one on a cheat day. When my husband would grab one for a treat I would take maybe two small bites just to share in the yumminess. Then I set out on a mission to recreate it gluten free so that I could eat a WHOLE cookie. It took me quite awhile to make something that came remotely close to this cookie but boy did I have many bake failures. Too gushy, too strong on the molasses, too flat, too small... you name I did it. Have you ever wandered around the vegetable section in the grocery store and came across a rather large yellow oval shaped squash and wondered what you could do with it? You probably had that thought for one second then kept on walking. Sometimes those veggies that are super big can be intimidating or look like too much work. But not this one! 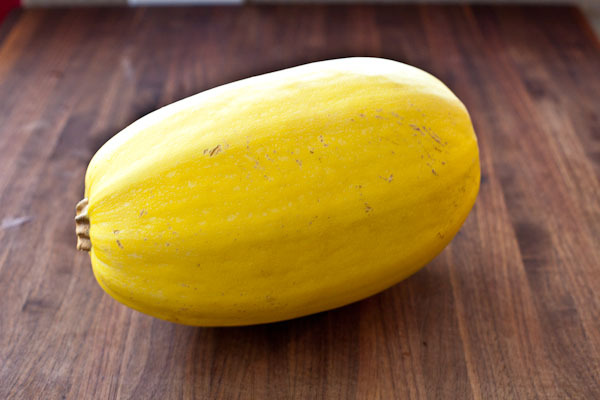 To most people's surprise this gem of a squash once baked looks like spaghetti and can replace multiple dishes that you normally use pasta in. Naturally it doesn't really taste like pasta however it has its own wonderful flavors and texture that I'm sure you will find pleasing! About seven years ago my fiance, at the time, and I decided to cut all complex carbohydrates out of our normal diet in the evening hours. Our cut off time was around 4 pm which meant no more breads, pasta, potatoes or rice with dinner. This was hard at first but after you get into the swing of it you realize that your body processes food much more efficiently at night and you actually feel leaner the next morning, as long as you are getting enough protein and simple carbohydrates i.e. veggies. It also makes you crave more vegetables to feel satisfied at the end of your meal which in my mind is a huge bonus because I think we all know we never get enough veggies in our daily consumption. Red Snapper Fillet with Spaghetti Squash, Saffron, and Tomato Cream by Cooking Gluten Free, Karen Robinson. This recipe takes a little more time, serves 6 and is well worth it! Spaghetti Squash Carbonara (Gluten Free) by ATX Gluten Free. This recipe is simple and delicious. My husband cooked this last night and it was awesome. There are many more uses for spaghetti squash. This is just a start. Enjoy! The dust is finally settling after a whole week full of birthday surprises from my amazing husband. On our way back from a fun-filled Christmas party weekend in Garmisch our babysitter canceled for Monday night. This was a night that my husband had been planning to kick off my stream of birthday surprises. He told me that I had to find a babysitter or a friend that would go with me and he would stay and watch the kids. No matter what I was going. After many texts emails, phone calls and even a Facebook post we got a sitter! Our good friends Doris and Rich came to the rescue, thanks guys! The weather was crap and if it had kept snowing we might not have made it but luckily it turned to rain and we were able to drive to Munich that night. I had no clue where he was taking me until we walked into the O2 arena for the Kings of Leon concert. It was an amazing show! The next day my CrossFit girlfriends treated me to a day at the Boeblingen Mineral Therm Spa where we had a delicious brunch followed by steam rooms, salt scrubs, hot and cold baths. Oh so relaxing! If you haven't been there it is a must. The food is fantastic and well anything with the word spa in it... heaven! As the week continued I was anxiously awaiting Saturday night to be able to enjoy an evening with my husband in downtown Stuttgart. I received a call from our babysitter on Thursday and thought this cannot be good. She had to cancel on us again but for very a good reason. The calling frenzy began however this time I found a sitter rather quickly and she is great!! I didn't know what my husband was planning but figured it would involve a special dinner and maybe a show or some dancing. Nope... not my man. He seriously went all out. When I came home from work that day to meet the new babysitter I walked into our kitchen and my two best friends where sitting on the floor waiting to surprise me. All I could do was scream! OMG... how, when, what is going on???? This probably doesn't seem strange to anyone but they flew all the way from Rhode Island to Germany to be here for my 40th birthday! Now that is some serious friendship. At this point I'm floored and can not imagine anything more but when we got downtown we walked into a place called The Paris Club for our dinner and it was full of 50 of our closest friends all wishing me a happy birthday. I think I lost my stomach, dropped everything and almost fainted. An unbelievable night!! We had the whole place to ourselves and the owner ensured that I had a special spread of gluten free appetizers and dinner. Who would have thought a place like that would cater to my gluten allergies. 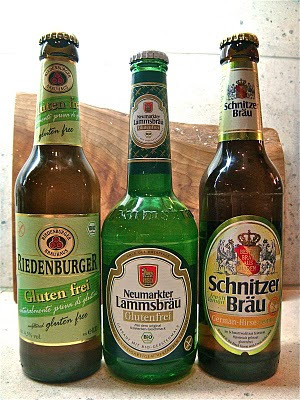 And to top that off one of my friends brought in two bottles of local gluten free organic beer by Neumarkter Lammsbraeu. Needless to say I was in heaven and feeling so blessed. 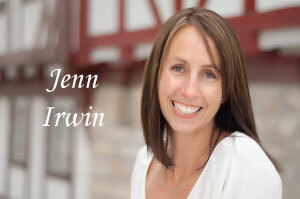 Special thanks to my rockin' husband and all my friends for a amazing start to a wonderful year!! One of my favorite things to do this time of year is sit down with my mother-in-law and go through the fall bon appetit magazines and pick out what we are going to make for our dinners over the holidays. Naturally we alter the recipes where needed to make them all gluten free. The sad thing is this year... I am in Germany and she is in Boston. Oh how I miss spending the holidays with family. The one thing that always drives me crazy about this magazine is how difficult some of the recipes can be as far as ingredients go. I know they like to be a bit on the exotic side but a mom doesn't have time to be exotic. Between entertaining the little ones, getting them fed and bathed and trying to crank out a nice meal for my husband there isn't much time to go searching for a white truffle. I did actually look for one but I wasn't even sure what I was looking for and said what the hell, do I really need this? I have the oil, which should be good enough. I was getting my hair done the other day and looking through the October 2010 bon appetit mag and came across this recipe. It interested me because I happened to have a celeriac in my fridge and a bottle of dark truffle oil, both of which I didn't know what I was going to do with. Perfect, I thought. I'm going to make this dish once I figure out what a Barlotto is. No clue! It turns out, as many of you might already know that a Barlotto is a similar dish to a risotto but instead of rice it uses barley. Yikes!! Poison to my body. Hmmmm, what could I substitute for this? I thought of using millet but then realized that quinoa might be the perfect thing and after eating it tonight I chose wisely! So if you have dark or white truffle oil you've got to give this recipe a try. If you don't have it I'm quite certain your local health food store will carry it. The German word for truffle oil is about the same... Trüffelöl. Make the truffle butter: mix the butter, truffle oil, oregano, salt and pepper. Set aside. Saute the onions, garlic and diced celeriac in olive oil until lightly caramelized. Add the quinoa and thyme and cook it for another minute. Add and cook off the white wine. Add one cup stock, stirring constantly. Continue to feed stock into the quinoa little by little, "risotto style". When the quinoa is soft, remove from heat and stir in the truffle butter and cheese. Cooking a family favorite tonight! I usually use a can of artichoke hearts in this recipe but I realized I was all out. Bummer! So I looked around the pantry to see what I could use instead. Ahh ha, I had some kalamata olives and a can of organic mushrooms. That should do the trick. If you don’t have olives you can use capers. And you can always use fresh sliced mushrooms. The whole idea on this recipe is to use what you have in your kitchen. Be creative and avoid making any extra trips to the grocery store. We moms spend enough time there as it is. This recipe is quick and easy and always delicious with a glass of white wine and some steamed broccoli. If you have leftovers for the next day use the cuisinart to grind the chicken, add a little mayo and make one of the best chicken sandwiches. Put flour in gallon size ziplock bag and place chicken inside and shake to lightly coat chicken. Heat oil on med-high heat in large frying pan and place chicken in pan. Sprinkle with sea salt, pepper and oregano. Cook for about 9 minutes per side on medium heat. Add olives, mushrooms and wine and simmer on medium heat for 10 minutes. Lower the heat to medium low, cover and simmer an additional 20 minutes. The first thing I teach anyone who is new to the gluten free world or just wants to go on a cleaner diet is how to properly read product labels when grocery shopping and the importance of knowing which ingredients have gluten in them or could possibly have gluten in them. There are the easy and obvious ingredients and then there are the hidden ingredients that still so many will question. This can be a challenge in itself and then throw in the element of living in a foreign country and not knowing how to read the language. I hope to make this as simple as possible. Flavors(artificial and natural)—Gluten containing grains are rarely used in flavorings except in meat products and products that contain meat. Avoid buying any type of meat that is preseasoned!! It is strange to be disconnected from the world for more than a day or two but so worth it to have a mini vacation in one of the most picturesque places in the world, Garmisch, Germany. We stayed in the Military hotel, Edelweiss along with many of our closest friends for our command Christmas party. This place is a little slice of winter wonderland heaven, surrounded by incredible mountains tons of snow, skiing, sledding and the small Christmas Market that wasn’t much to talk about but nice to go for a mug of hot gluehwein at the end of your ski day. But still with all the great things this hotel has to over (to include Starbucks…ahhhh) it remains a challenge for the gluten free traveler. Just like any of our trips through Europe I pack a big cooler bag full of our necessities, goat milk for the boys, Udi’s bread, organic peanut butter, rice crackers and other gluten free snacks to get us through the weekend. I’m pleased to say that the food we ate at the hotel for our Christmas party was great! I had the salmon that came with veggies and rice and it was fantastic! No problems with digestion. Yeah! All I had to avoid was the typical dinner rolls on the table and desert naturally was not an option for me. It was an apple strudel and looked delicious but there was no way that I was going to risk that. Luckily I brought along some of my homemade gluten free cookies so if I had a sweet tooth I would be covered. The next day we had lunch at the hotel, buffet style. There weren’t many options for me so I made a salad and had the veggie of the day, green beans. I could have had a sausage but didn’t want to risk getting one that had wheat fillers or wheat casings on it. When in doubt always opt out! That is my rule that keeps me safe when we are traveling. I wasn’t so thrilled with the breakfast buffet that we had this morning . I brought my Udi’s bread with me as always and expected there to be a bread/pastry area where I could at least toast my bread and maybe get some slices of cheese or jam and that didn’t exist. I grabbed some scrambled eggs, fruit and a small salad. The eggs were horrible and must have been the powdered kind. Yuck! I couldn’t eat them but my youngest seemed to like them, so that was good. I sent my husband back in to get me some fried eggs to order and even those tasted horrible. Overall it was just bad and so frustrating on the lack of gluten free or uncontaminated options. If we stay there again I think we will go into town for breakfast and skip that buffet. Speaking of going into town to eat, one of the best Mexican restaurants called Sausalito’s is where we had dinner last night. This place is always packed so we were lucky to get in early with the kids to enjoy something that we rarely get living in Germany. We started off with the Nachos Grande… Mmmm. Again I played it on the safe side and ordered the steak with salad and it hit the spot. Their menu is not marked as a gluten free however there are choices that are on the safe side like the taco plate and corn tortilla enchiladas. Overall the weekend was a success with no food attacks. Our biggest battle was the après party headache from all the wine, go figure. We are definitely going to plan another trip back and seek out more restaurants. Note on Udi’s bread: For those of you who are military living overseas and wondering if you can get Udi’s bread… Yes you can order it direct from the The Gluten Free Palace to your APO/FPO address. They do an outstanding job of packing it up in a cooler box with ice packs and put a rush on the order so your bread arrives fresh. I was super impressed with the company!